Thunderbird is one of the most leading mail clients used to share sensitive information and email messages as well. However, it not only provides email feature but also organizing contacts, events, appointments, and tasks. Sometimes, users may encounter a variety of problems one such is Thunderbird Quarantine Inbox Issue. Therefore, in the following section, we are going to discuss different strategies to prevent messages from getting quarantined and efficient solution to resolve Thunderbird Quarantine inbox issue in a proper manner. Fix the error message and open Thunderbird email files easily. In Thunderbird, all the messages are saved in the inbox folder with the desired name of the folder. These folders are being stored after changing the name of a folder. So, some antivirus assumes that each message is stored in an individual table. Thus, when virus is detected from Thunderbird inbox, the entire mail had been deleted, rather than deleting a single message. Thunderbird Quarantine Inbox Issue arises because of some antiviruses. This problem is not with Thunderbird but with an antivirus program. But there are many workarounds being used to prevent this problem from happening. Always use antivirus or firewall programs that are compatible with Mozilla Thunderbird. Set an antivirus on asking before automatic deletion or restore the quarantined files. Turning off the email scanning options as all files corrupted more than even virus infection does. In addition, it consumes a lot of memory and slows down PC speed as well. But if users want to scan their emails then let it scan incoming messages as many antivirus programs have problems with outgoing email messages. Does not rely on the email service provider for executing the scan operation. It is one of the secure ways to scan the email from your own domain to avoid this type of issues. Keep entire mailbox vacant by saving old messages into a separate folder. For this way, some emails may get affected even if antivirus has deleted an inbox. Set the Thunderbird to leave email messages on a server instead of deleting them instantly. According to this, users can easily download their emails even if antivirus has a damaged inbox file. From Thunderbird, navigate to Tools option and then, select Account settings tab. Afterwards, click on the server settings. Thunderbird emails and other account data that must be archived or backed up on regular basis. 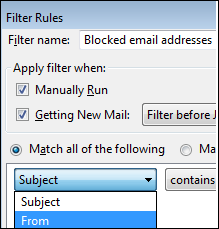 Follow below-mentioned steps to accomplish the task to remove quarantined inbox. If you do not read file name as inbox then, click on the Restore option and follow the above process to fix this issue. Users can set up the Norton application to exclude folder from the scan. Due to this reason, entire inbox cannot be quarantined. Only virus-infected email to be quarantined. How to fix Thunderbird Quarantine Inbox issue is one of the major problems for normal users. After understanding the above scenarios and we have covered various techniques to resolve Quarantine Inbox Thunderbird Issue. From the next time, if you may encounter a situation in which your mailbox has been quarantined, then, you know exactly what to do!